Wed, Apr 17, 2019, 12:29 pm SL Time, ColomboPage News Desk, Sri Lanka. 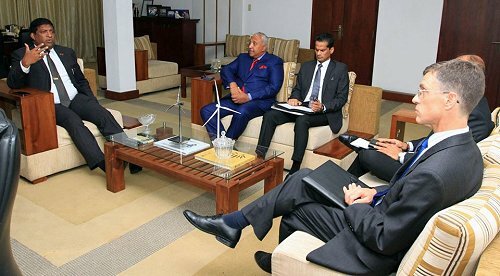 During the discussion, Minister Karunanayake noted that Sri Lanka's main and cheapest electricity generating system is hydro power, and at present, all the possible resources from the existing water sources in the country have been used for generating electricity. "In order to meet the daily growing demand for electricity, our power sector is now focusing on low cost renewable energy sources," he said.